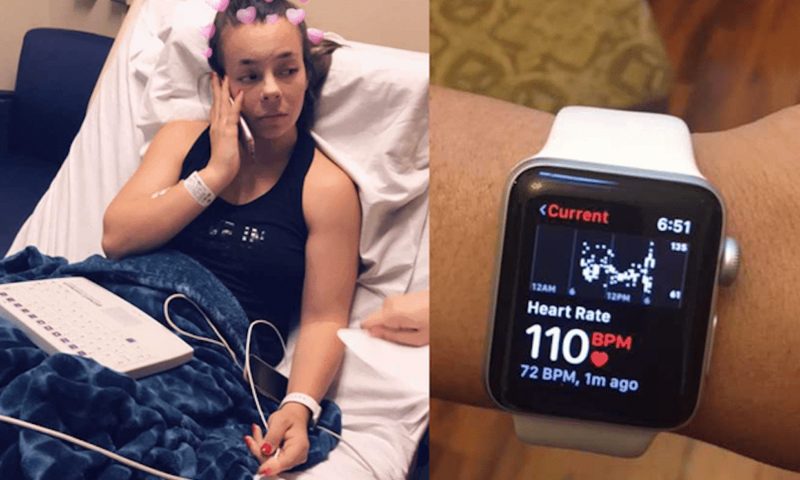 A Florida teenager says her Apple Watch saved her life after the wearable alerted her and her family to a serious medical condition involving her kidneys. Deanna Recktenwald, 18, was at church in the Tampa Bay area with her family when a notification appeared on her Apple Watch. The alert warned Deanna that her resting heart rate had hit 190 beats per minute, according to local media outlet WFTS. “I didn’t know what was going on at all and it was just out of the blue,” Deanna told the local news station. Deanna’s mother, Stacey Recktenwald, is a registered nurse and did not question the accuracy of the Apple Watch’s heart monitoring feature. The Tampa Bay teen’s rapid heart rate was confirmed by staff at a walk-in clinic. Deanna was then rushed to an emergency room at Tampa General Hospital, where doctors found out that she suffered from chronic kidney disease, WFTS reported. Doctors found that both of Deanna’s kidneys were only operating at 20 percent. While she will likely require a future kidney transplant, Deanna and her family are thankful for the Apple Watch — which her parents gave to her as a Christmas present. Deanna’s mother, Stacey, later wrote to Apple to thank the company for the Apple Watch’s lifesaving capabilities.